Godt nytt år alle sammen, og velkommen til et nytt IFF-år! Vi vil informere om at IFFs Årsmøte 2011 vil bli holdt under Nordic Light i Kristiansund torsdag den 5. mai. Vi arrangerer relevante kurs i forbindelse med møtet. Priser på overnatting og deltagelse på NL vil bli rabattert, mer info kommer om litt. For mer informasjon om Nordic Light se www.nle.no. 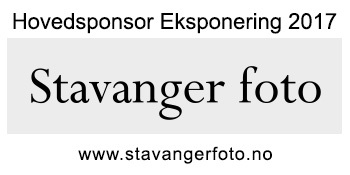 Vil også minne alle om at Eksponering er i gang, og håper alle våre medlemmer sender inn foto til konkurransen vår! En fin mulighet til å vise hva du jobber med, og samtidig ha mulighet for å vinne flotte premier! Prisutdelingen holdes under Nordic Light, sammen med NFF, onsdag 4. mai. Fristen for innsending er 21. februar. På grunn av flere ubetalte 2010 kontigenter, bes medlemmene om å ta ansvar for sin kontigent betaling. Kontigent for 2011 er sendt ut til alle 5.januar med forfall 1.februar. Hvis ikke kontigentkravet er mottat må medlem selv ta kontakt med Kasseren Åge Pedersen på age.pedersen@lyse.net snarest. AHFAP was founded just over 25 years ago and in that time has existed as a forum for UK photographers working in museums, galleries, libraries and other fields in the cultural heritage sector. Very few of our colleagues in other parts of the world have an association which brings such a group of photographers together. It is with this in mind that AHFAP have decided to extend a welcome to photographers from all over the world, who work in our sector, to join in a conference to discuss cultural heritage photography. This international conference will be held in Brighton, on the south coast of England in June 2011. For details of how to book a place and accommodation at the conference go to our Conference Booking page and Accommodation page. All other Conference information can be found in this section of the website, see the 2011 International Conference menu above. The AHFAP journal is our occasional publication intended to inform and educate our fellow colleagues, it is available for download on our Journals page. The purpose of the conference is to share experience of the work we all do. The following topics of interest can be used as a basis for presentations. The list is not exclusive and other topics will be considered if they are core to our sector. National perspectives; What my experiences are working in my country and with my colleagues. Photographing the large object; How I tackled a difficult or very large or very small object. What was different about this. Working on location: How you tackle the circumstances of working on location on archaeological sites or in ancient buildings or sites. Colour & reproduction; Approaches to colour management, working with publication departments and printers. Software solutions: Novel types of software which help the daily work. Special applications of routine software such as scripting and improvements to workflow. Digital asset management: Installing and working with DAMS either experience of using them or the planning necessary for their installation. How I solve my problems: If you work alone, or are part of a large team how your working day is structured. Multimedia: podcasts, imaging for the web, etc. Services that you undertake outside of normal 2D photography. These presentations can be video based. 3D imaging: Descriptions of trials and success being undertaken in 3D imaging. Managing budgets: Do you work under financial constraints and how do you undertake this. Rapid imaging projects: Case studies of your experience of undertaking either rapid imaging projects of either flat art work, books, or physical solid objects. What’s next for our profession? How do you anticipate your working life changing? Panel sessions are planned to encourage delegates to participate in open discussions. If you would wish to participate in a panel session please indicate your area of interest. USA, Australia, UK, France, Germany, Norway, Denmark, Greece, Spain, Indonesia, India, China, Korea, Ireland, Canada, Chile, Brazil and many other countries. Stiftelsen Lillehammer museum er et konsolidert museum som er organisert som et konsern med 5 selvstendige avdelinger: Maihaugen, Spesialmuseene som omfatter Aulestad, Bjerkebæk, Postmuseet og Norges Olympiske museum (NOM), Kommunikasjonsavdeling, Organisasjonsavdeling og Senter for immateriell kulturarv (inkl. Norsk handverksutvikling – NHU). Lillehammer museum inkluderer også Samtidsnett, Handverksnett og Opplandsarkivet. Stiftelsen har ca 90 fast ansatte og har rundt 200 000 besøkende i året. Lillehammer museum er et kulturhistorisk museum og en vitenskaplig institusjon som har som formål å samle inn, dokumentere og formidle kunnskap om materielle og immaterielle kulturminner, fortrinnsvis fra tiden etter reformasjonen. Museet legger bl.a. vekt på fagfeltene hus og hjem, byggeskikk, håndverk, folkekunst, litteratur, idrett, kommunikasjon og posthistorie og har store samlinger arkiv-, foto- og biblioteksmateriale innen de ulike fagfeltene. STILLINGSBESKRIVELSEVi søker vikar for vår museumsfotograf i 100% stilling til og med 31.12.2011. Søknadsfrist: 17. januar 2011.Elektronisk søknad må benyttes.